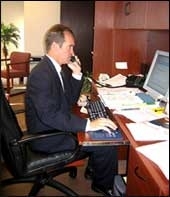 Insurance Coverage | Tampa Insurance Defense and Litigation Attorneys | Metzger Law Group, P.A. Insurance documentation must be carefully developed to provide legitimate coverage for the first party and third party protection provided, yet not be open to interpretation for unrelated claims. The law firm of Metzger Law Group, P.A. practices in the area of insurance coverage including evaluations, opinions and litigation in both state and federal jurisdictions. The firm’s coverage experience ranges from general commercial lines, homeowners, automobile, environmental and professional insurance programs as well as excess and surplus lines and reinsurance issues. The firm’s attorneys have participated in numerous national conventions on insurance coverage litigation and are currently involved in national insurance coverage litigation. We can provide in-depth analysis of your existing policies to minimize any potential risks. All too often, consumers and businesses claim that they were mistreated by insurance carriers. This insurance “fraud” is often described in the law as “bad faith,” termed after the “covenant of good faith and fair dealing” that is implied by law in every insurance contract. Bad faith actions can frustrate the normal course of litigation and can result in threatened punitive damages against the insurance carrier. The aspect of punitive damages makes these types of claims especially appealing to Plaintiffs and their lawyers in circumstances where there is a large amount of damages and minimal or no insurance coverage. The attorneys at Metzger Law Group, P.A. are sensitive to these issues and are experienced in recognizing potential bad faith allegations and diffusing the allegations at the onset, so as to prevent them from escalating into an actual lawsuit or additional cause of action in an existing lawsuit. If your claims department or business would be interested in having the firm’s attorneys present a seminar on “Claims Adjustment and Investigation: Avoiding Bad Faith” please contact our offices. We have offices conveniently located in Florida’s Tampa Bay area. Please contact Metzger Law Group, P.A. today to address your Insurance Defense & Civil Defense needs.